Are you looking for a change in career or a role that is inspiring and rewarding? Do you have a background of working with the public and committed to delivering the best customer service? 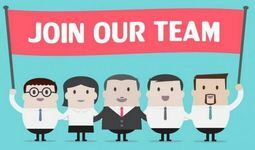 We are looking for an enthusiastic, motivated team player to join our Support team in the role of Receptionist/Telephonist covering a range of shifts and days to fit in with the practice's opening hours. This ranges from 7.30am until 8pm Monday to Friday and 8am - 1pm on a Saturday.